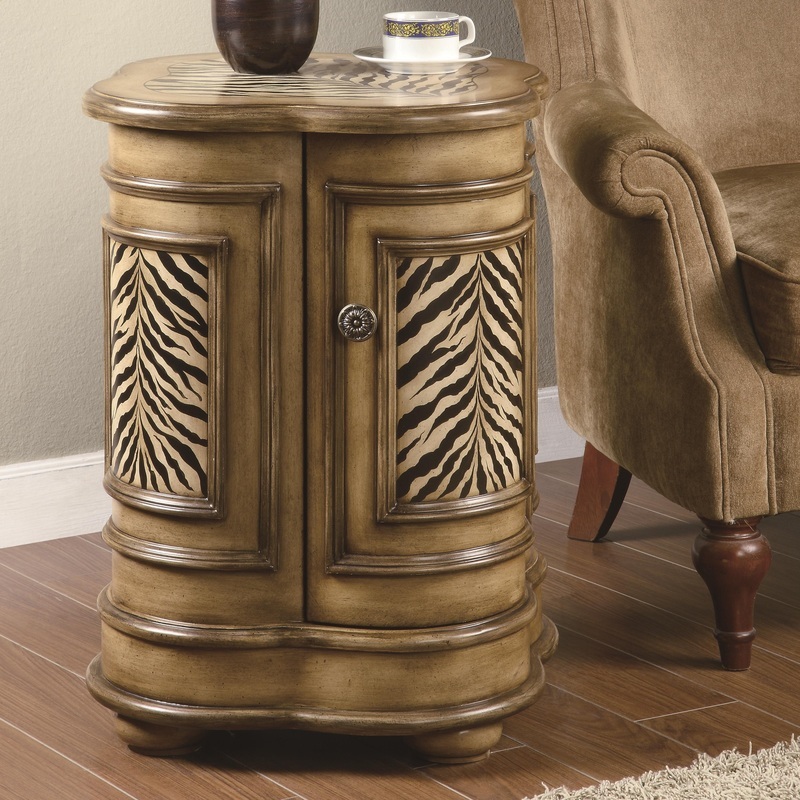 Make your room pop with a flair or animal print and classic style. 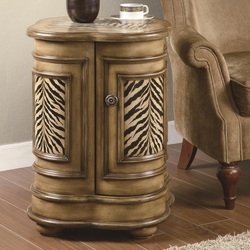 The round cabinet features a traditional light brown/bronze molding with a zebra print making up the inside panels. A door on the front opens up, providing ample space for storage needs. Add this pint-sized cabinet to your living room, bedroom or entryway!